David Nathan, M.D., was born and raised in Peoria, IL. After attending the University of Pennsylvania for his bachelor’s degree and Northwestern University for medical school, he completed diagnostic radiology residency and musculoskeletal fellowship at the University of Wisconsin. After fourteen years of training, Dr. Nathan was eager to return to his hometown to give something back to the community that had provided him so much opportunity. As the first fellowship trained musculoskeletal radiologist in Peoria, Dr. Nathan has developed a close collaborative working relationship with local orthopedic surgeons to address the specific imaging needs of the community. This has resulted in many modifications to imaging techniques and protocols over the years, as well as adding new services such as advanced musculoskeletal ultrasound, musculoskeletal and spinal interventions, and most recently being the first in Peoria to successfully image metal joint replacements with MRI, an imaging modality that had previously been contraindicated in this patient population. Despite the complexity of modern imaging, Dr. Nathan always strives to keep the focus on the patient behind the image. 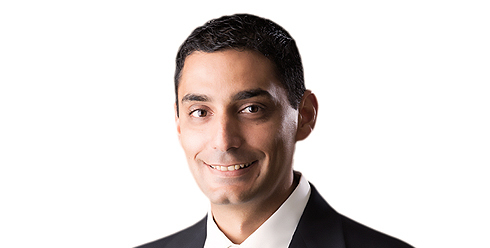 Board certified in diagnostic radiology with focus in musculoskeletal imaging, Dr. Nathan is a member of multiple professional societies including the invitation only Society of Skeletal Radiology and is a clinical assistant professor at the University of Illinois College of Medicine. In addition to serving on multiple medical committees, Dr. Nathan also serves as a board member at Congregation Agudas Achim and the Hult Center for Healthy Living. Dr. Nathan is also the President of Specialists in Medical Imaging group as well as Chairman of the department of Radiology. On a more personal note, Dr. Nathan is married to Dr. Shanta Mattai Nathan, a local neurologist, and has a 6 year old son Daniel. Together they enjoy travel, the outdoors, and various sporting activities.